All things fibery like dyeing, spinning, knitting, felting and weaving. A place to share with fiber friends, current projects, handspun and hand-dyed yarns, information about fiber events. In pursuit of keeping these arts alive and in getting more people interested and involved. I cannot begin to tell you how much fun it is to create these little critters and dress them up. There is a bit of a story behind the materials I used in these little animals. 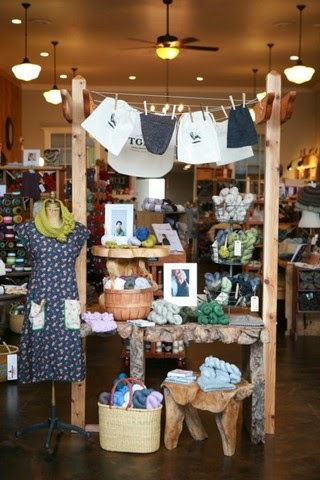 Before my trip to the Seattle area, I of course had to search out nearby yarn/fiber stores that I might need to visit. One of the stores that popped up was Tolt Yarn and Wool, which looked like an interesting shop in the farming community of Carnation about 20 miles from my son's house in Issaquah. So, Melody and I decided to take a field trip to Carnation in the Snoqualmie Valley. The drive there was so picturesque as the road followed the Snoqualmie River through a beautiful farming valley. As soon as I walked in, I saw a cute hand knit rabbit that looked like a good starter project for me, so I got the pattern, "Bunny Love" by Susan B. Anderson. Because I was drawn to the local yarn, I decided I wanted to knit my animals with natural locally sourced wool, so I set aside some yarn from Snoqualmie Valley Yarn, a Blueface Leicester and Clun Forest wool yarn. 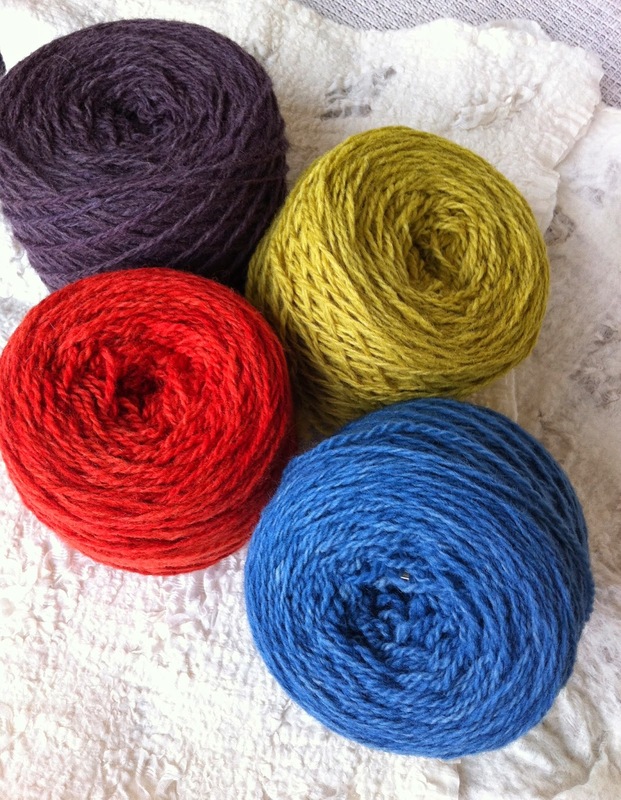 I bought three of their natural colors and several that had been dyed by Local Color Fiber Studio on Bainbridge Island. Local Color used indigo, madder root, grape skins, and rudbekia for their natural dyeing. I also bought three natural colors of yarn from Small Blessings Farm from Enumclaw, WA, 100% Romney wool. Once I got home and had knit up my first bunny, I decided to embark on the cat pattern, "Meowww Kitty" by Sherry Moore. And . . . I took off. Using the wool yarn I bought at Tolt, I combined it with some of the Cormo wool yarn I have purchased at the Taos Wool Festival from Elsa Wool Company of Colorado, another family owned sheep ranch. And some of the clothing for my little critters was knit with natural dyed yarns from Rainshadow Farms (Kingston, WA) that I bought at the Black Sheep Gathering. I also used some of my handspun yarn that I have dyed with indigo and eucalyptus. It remains to be seen how big my stable of kitties and others is going to grow. Many ideas swirling around in my head -- which is not a bad thing. So that's about it for now. I am motoring down to San Diego tomorrow to spin with my spinning buddies down there, a great group of women. Love the camaraderie that the fiber world nutures.